"Daily Blast Live" chose a point-to-point IP delivery strategy to monitor and distribute feeds to its partner stations. With each new program or channel launch, broadcasters are experimenting with the latest technologies that disrupt the traditional models of distribution and improve upon the sharing of content between stations. They have to in order to produce high-quality and captivating multimedia content with ever-shrinking resources amidst today’s highly competitive TV landscape. 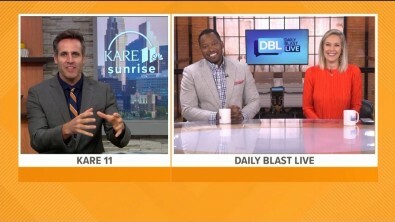 “Daily Blast Live” (DBL) is such a program, now 15 months old, that has embraced IP and the resources of more than 50 TV stations around the country to produce 4.5 hours of live programming each day. The increasingly popular show is owned by TEGNA (Formerly part of Gannett that now operates 47 television stations in 39 markets) and produced in studios housed in the same building as Denver's KUSA-TV. New technologies like TVU Network’s Grid, an IP-based switching, routing and distribution system, have served as the show’s secondary feed to its main daily satellite transmission since its launch. This year management at DBL decided to deploy TVU Grid as the primary distribution channel for a TEGNA station point-to-point media tour. The delivery of DBL across competitive station groups, something not traditionally done, is another benefit of the IP-based system that the team—led by Sharon Levy, Senior Technical Operations Manager for the show—took full advantage of. The daily syndicated program is now airing in 40 markets and 14 other stations (owned by Scripps and Hearst). DBL goes live from 10:30 to 11:00 and 11:30-3:00, and 5:30-6:00 (all (Mountain Time). The show is live the entire time and participating stations jump in and jump out as previously scheduled—airing the show in different time zones and in different day parts. DBL recently hosted a media tour across all of the TEGNA stations to promote the second season, conducting live, point-to-point interviews from its Denver studio.For six straight hours in a single day, Daily Blast Live sent 32 different live shots about every ten minutes apart featuring DBL talent to TEGNA morning and noon shows. The goal for the team at DBL was to increase awareness and viewership of the show. During the media tour, the software enabled DBL to monitor program output of the other stations simultaneously from a single interface. Each participating station receives the feed on their respective Grid systems—all with sub-second latency. The show used TVU Grid during its first season to interact with all of the TEGNA stations during breaking news and talkback segments, but the media tour was their chance to promote DBL in a more direct and cost-effective way. Management is accustomed to using satellite, but based on the network they had set up with TVU, “I couldn't see any reasons to spend that kind of money on satellite time,” she said. 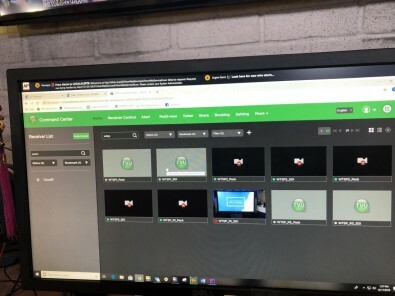 During the highly successful media tour, TVU Network software and its “Command Center” enabled DBL to monitor program output of all of the other participating stations simultaneously from a single interface. The frequency of the live shots to promote DBL’s new season made production of this media tour far different from past promotions and much more challenging. Although typical “talkback” promotions between the stations and DBL center on the day’s trending topics and are a periodic part of local TEGNA station programming, the number of shots, the total length of time, and the varying time zones that had to be accommodated made more traditional methods such as purchasing satellite time too cost prohibitive. The DBL media tour’s audio and video content routed the signals through each stations' own control rooms to air. A return feed of the program was fed back via TVU Grid. This provided a a confidence monitor and a source to record all DBL live shots that day. DBL anchors received IFB audio to talk back to from each of the stations. “It wasn’t complicated in that we’re feeding our signal out and each station had to go find us [on the Grid],” Levy said. “Then the interaction beyond that was conducted over IFB. It got a little dicey because I wanted to see what we looked like in all of the markets we were in. So, I requested that each stations put their outgoing program feed on their TVU Grid so I could see and record their live shot. The IP routing software is now also used for live shots during breaking news and also for talkbacks (similar to the media tour) inserted intermittently during daily morning shows in markets where TEGNA owns and operates stations. Some will have a live shot in their newscast once a week and Levy and her team uses the TVU Grid exactly as they did for the media tour. During talkback segments, Levy can see each station on her control room monitors in Denver. When a report is out in the field she can't see their signal unless the station in question runs their signal through an SDI connection. TVU helps pair DBL directly with that individual pack using its specific IP address of the wireless transmitter stored in a separate easily transportable backpack. This pairing process also helps minimize latency but by at least half a second. In this way, during breaking news stories, Levy can call a TEGNA station that has a crew with a bonded cellular transmitter (TVU Pack) near the scene and ask for a customized live shot. In the end Levy said today content distributors of all types have to think out of the box and embrace new technologies as they become available in order to remain competitive and produce great content on a limited budget. That also means sometimes working with competitive stations to facilitate far-reaching distribution of DBL.